PCB (Poly Chlorinated Byphnile) Treatment Plant Our PCB decontamination process destroys the toxic nature of the PCB molecule, leaving a non-toxic, sodium salt type waste. We provides the high quality of Effluent Treatment Plant Services. We offers the products to our customers as per their specifications. - RO REJECT, ETP TREATED, RIVER BORE WELL water can be used as make up water in cooling tower to achieve substantial saving in water while reducing the load to effluent treatment plant. We have undertaken and completed successfully various Common Effluent Treatment Plants for Industrial hubs in Maharashtra and Gujarat. These CETP systems include Design, Engineering, Equipment procurement & supply, Erection & Commissioning and allied Civil Works as well as allied liaison with Government authorities. 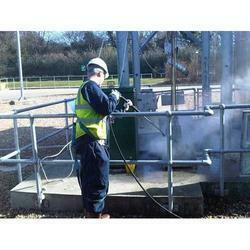 We offer installation services for effluent treatment plant to meet the on site requirement of our clients. For this, we have a team of expert technocrats who is round the clock available for our client's help. Our services with this regard are very quick and ensure high level of precision. 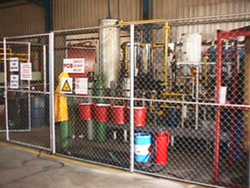 The ETP Plant Services offered by us is used for removing unwanted harmful chemicals from waste water. These water treatment plants have sturdy construction and are appreciated in the market for their resistance to corrosion. Stringent quality policies are employed while manufacturing our ETP plants.